We offer eBooks, audiobooks, magazines and streaming video that can be checked out and downloaded from home. You need a St. Joseph Public Library card in good standing to borrow these materials. The databases also provide great information and are available to use from home. Have your library card handy to access them. Click on the icons below to access the services. If you need assistance call us at 232-7729. Any branch can set up a personal help session too. Looking for e-books or downloadable audiobooks from James Patterson, Janet Evanovich, Nora Roberts or other best-selling authors? This collection includes lots of best-selling fiction books. Large selection of adult, teen and children’s e-books and downloadable audiobooks here. Streaming movies too! World-class mysteries, dramas, and comedies from Britain and beyond through a streaming video service to any web-connected device. The first time you access AcornTV you will need to provide an email address and create a password. With hundreds of videos on subjects ranging from photography to physics, astronomy to art, history to health, and more, The Great Courses Library Collection has courses on how to do it, how to learn it, or how it happened. Part of the RBDigital streaming offerings. Full-length Concerts and Music Documentaries. Over 1,500 of the most amazing live moments in music streamed on-demand to just about any digital device. Already have an RBDigital account? It works here! Spanish-language telenovelas and translated movies streamed on-demand to all popular devices. Already have an RBDigital account? It works here! Check out downloadable audiobooks. Already have an RBDigital account? It works here too. EBSCO e-books are always available with no waiting. You’ll find fiction and non-fiction books for all ages in this collection. Download digital magazines here. View this 1 1/2 minute video on an update to the magazine app. TumbleBook Library is a collection of animated, talking picture books, Read-Along chapter books, puzzles, games and more for children. AtoZdatabases is the premier Reference, Research, Marketing, Mailing Lists/Sales Leads, and Job-Search Database. The databases are ideal for sales leads, mailing lists, market research, employment opportunities, background searches, finding friends, relatives and a whole lot of other possibilities. Universal Class over 500 self-paced or instructor led classes on topics from education to business to hobbies and self-help. NoveList connects readers to their next book by making recommendations for what to read next. One of the most popular elements is read-alikes, which suggests titles that are ‘just like’ other titles. If you’ve just finished a great book, visit NoveList and find great read-alikes. There are also read-alikes for authors and series. Consider NoveList your one-stop guide to great fiction reading. It contains lists of recommended reads and award-winning books. Need a legal form valid in Missouri? We have it here. This is a do-it-yourself resource for legal assistance. We offer you the latest legal forms — fast! Enter your 14-digit library number to access the Legal Forms databases. Want to learn a new language, or brush up on one you learned years ago? Try TransparentLanguage Online. Already have an RBDigital account? You are ready to sign in. If you don’t have an RBDigital account yet, select Register. ArtistWorks for Libraries offers world-class instruction on the most popular string and band instruments through self-paced video lessons from Grammy Award-winning music and artistic professionals. Already have an RBDigital account? You are ready to sign in. If you don’t have an RBDigital account yet, select Register. Looking for a magazine article, need information on an illness, need general information on something or looking for a great book? 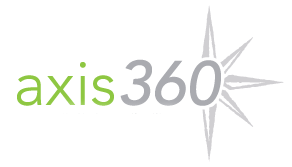 Try Explora. Click the Explora line above to see for yourself. Accessing outside of the library? You’ll enter your 14-digit library number to enter the database. This database is provided by MOREnet through REAL funds from the Missouri State Legislature. Chilton car repair manuals are now available online from the library or at home! Chilton has the detailed information you need to tackle vehicle maintenance and repairs. Click on the Chilton icon and enter your library card number to begin. Cyclepedia, a motorcycle and ATV repair database, is available for in-library use only at all four library branches. This database must be used in the library and each library has a different User Name and Password. If you are at the Downtown Library – your username is sjpldowntown and the password is 6dtsjpl. The East Hills Library username is sjpleasthills and the password is 8ehsjpl. The Carnegie Library username is sjplcarnegie and the password is 7cbsjpl. The Washgington Park Library username is sjplwashington and the password is 9wpsjpl. HeritageQuest is designed specifically for patrons in public libraries who are either just beginning their family research or who after years of work are still uncovering their past. It contains over 25,000 books, the entire US Census, and other expanding collections. Ancestry Library Edition can be accessed only in the library. 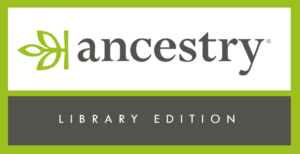 ProQuest has partnered with MyFamily.com to create Ancestry® Library Edition, one of the most important genealogical collections available today. It has unparalleled coverage of the United States and United Kingdom, including census, vital, church, court and immigration records, as well as record collections from Canada and other areas. This is a strong complement to HeritageQuest™. Learning Express Library is the leading source for test preparation materials and interactive practice exams based on official tests. There is now career and resume help here too. You must establish a username and password the first time you access the site. This database is provided by MOREnet through REAL funds from the Missouri State Legislature. Looking for a magazine article, need information on an illness or looking for a great book? 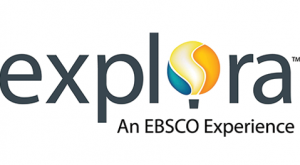 Go to EBSCOhost for magazines, Consumer Health Complete for medical information or Explora for age-appropriate information, from kids, middle school, teens or adults. And there’s more. Click the EBSCOhost line above to see for yourself. Accessing outside of the library? You’ll enter your 14-digit library number to enter the database. This database is provided by MOREnet through REAL funds from the Missouri State Legislature. Need a book the library doesn’t have? Search for it here. If the book was published at least 6 months ago we can request it from another library. Missouri Driver Education – Free practice tests for MO Department of Transportation’s written examinations. Search the library catalog. Find out what books, audiobooks, movies, music, magazines (and more!) we have available for you to check out from the library. You can log into your library account with your 14-digit library card number and your PIN. Don’t know your PIN? Ask a librarian to help you. Need help on using the catalog? View our Tutorial. Salem History provides online access to several books the Reference Department also has available in print. Look here for information from “Milestone Documents in American History”, “Milestone Documents in African American History”, “The Twenties in America”, “The Thirties in America”, “The Forties in America”, “The Fifties in America”, “The Sixties in America”, “The Seventies in America”, “The Eighties in America”, “The Nineties in America”, “The 2000s in America”, “Great Lives from History: Inventors and Inventions” and “Great Athletes”. To access from home click above on “Salem History”. Go to the 2nd tab “Remote Access Login” and put in your 14-digit library card number. Magill’s Medical Guide is available through Salem Health. It has been glowingly reviewed by every major reference reviewer. It is a staple in high school, college, public and medical school libraries. The Guide is a perfect mix of accessibility and depth, providing general readers with an authoritative reference source that helps bridge the gap between medical encyclopedias for professionals and popular self-help guides. It is an up-to-date and easy-to-use guide of medical information suitable for student research as well as use by general readers, including patients and caregivers. To access from home click on “Salem Health” above. Go to the 2nd tab “Remote Access Login” and put in your 14-digit library card number.